The awards ceremony of the 'UIM Environmental Award 2013', sponsored by the Union Internationale Motonautique with the aim of promoting excellence in the innovation, development and application of environmentally friendly technologies, was held on Saturday, 1 March at the Salle des Etoiles of Le Sporting Monte Carlo complex in Monaco. During the evening, Azimut|Benetti was rewarded for its commitment to promoting a culture of environmental safety in the workplace, and in particular for the 'BS OHSAS 18001' certification obtained by the company in December 2013. The Group has always stood out for its innovative approach to safeguarding the environment and occupational safety. The UIM special mention for 'Environmental Benefits' is the crowning of the path that has led the Group to be the first and only shipyard in the world to have achieved the BS OHSAS 18001 certification for its six production sites: Avigliana, Savona, Varazze, Viareggio, Livorno and Fano. Once again, the Azimut|Benetti Group stands out for the value and the aims of its investments, implemented in response to medium and long-term strategic plans to improve the company’s work processes and structures from every standpoint. These wide-ranging strategic plans take up a major challenge: to combine excellent craftsmanship with production techniques controlled by innovative and highly technological processes based on industrial models. 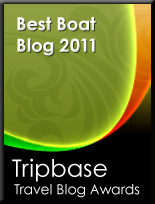 All this translates into safe and reliable yachts that retain their value over time. Bavaria will support this year's sunshine4kids initiative and presents a Bavaria yacht for the cruise with the young people which is available in July. The initiative sunshine4kids, has made its task to give children and young people who are in a difficult life situation some free lessons through sailing. This will aid their zest for life and give some new perspectives. Bavaria will support this initiative this year for the first time and presents a yacht for the planned summer cruise - the so-called “hope fleet”. From the 18th to 27th July the hope fleet sails from Fehmarn to Travemünde. The plan is to start with 100 children and young people on 30 boats. The 125th Anniversary of the Travemünde Week is also on between the 25 – 26th July in Travemünde and there on the big stage will be the band Schandmaul who will perform the sunshine4kids musical. The yearly event for captains of Azimut|Benetti yachts over 100 feet has reached its 14th edition, coming to a successful close. Surrounded by the enchanting Tuscan gardens of the Il Ciocco estate in Lucca, the guests also had plenty of opportunity for recreation and relaxation. This year, as always, the organisers of the highly anticipated Benetti Yacht Master Event treated the more than 150 guests (including 86 captains, experts, members of the press, and sponsors) to three days of intense work, meetings, and workshops with themes centred on yacht and mega yacht management. It was also a great opportunity for socialising, having fun, and getting in touch with nature surrounded by the magnificent Tuscan countryside. Together with Azimut, Benetti, Yachtique and Lusben management, technicians, and sales directors, the captains had the opportunity to deepen their knowledge on situations they handle on a daily basis in both theory and practice. Among the key moments from a professional standpoint was the Iproject Management presentation, the innovative system for monitoring technical anomalies. This specially designed Ipad/Iphone application enables you to send photographs of any damage or problems together with comments directly to the project manager; the application also includes a "construction log". Topics also included the latest information about RINA certification, with a detailed look at the importance of classifications and concrete advice about how to prepare for the changes under way. Finally, after a presentation of the latest Fraser Yachts offerings, a substantial period of time was dedicated to team building, with activities run by crew services and management company, Lesia Group. With the assistance of specialised coaches, participants participated in role plays and explored various strategies for improving crew management, with a special focus on discipline issues. Working in a team is definitely more effective than working individually, and the captains were able to assess and optimise their managerial skills. MTU - the diesel engine manufacturer and the event's main technical sponsor - introduced special offerings and packages for boat owners. Other event partners included: Rina, Naiad Dynamics, Boero, Damco, Home Port Spares, Asea, Team Italia, Opem Sistemi, Lusben, ISS Gmt, and Peninsula Petroleum. Hodgdon Yachts today announced the successful infusion of a 100ft carbon fibre hull mould. The mould to be used for a pre-preg carbon hull is one of the largest single hull infusions ever done in the USA and one of a handful of this scale worldwide. The success of large infused composite parts such as this are increasingly giving designers worldwide the confidence to specify advanced composites over other materials given their many advantages. Hodgdon Shipbuilding is pleased to announce the official opening of its operation in Damariscotta, Hodgdon Custom Tenders. After greatly expanding the workforce and presence in East Boothbay and elsewhere on the peninsula, Hodgdon was fortunate to find a facility immediately available in the region. Hodgdon Custom Tenders builds custom and semi-custom tenders for the Superyacht market. The tenders which currently range in size from 8.5 meters to 12.0 meters are typically housed aboard large(250 ft and over) motoryachts made by some of the most famous shipyards in the world. 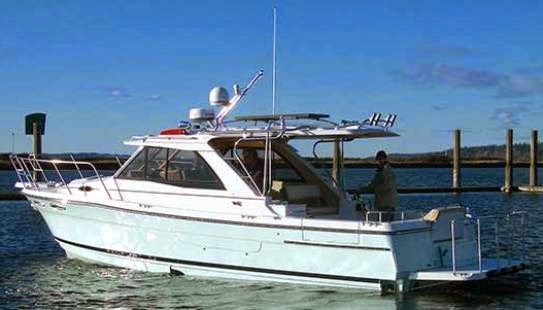 The elegance and craftsmanship these tenders represent is a tribute to the high standard of quality maintained by Hodgdon and the excellent skills of our Maine based workforce. Jarrett Bay Boatworks has added an ultra-modern, 30,000 sq. ft. indoor, heated facility situated on a 2.2 acre site to the list of amenities they offer at their 175-acre Marine Industrial Park. Designed to ccommodate up to two 100-foot vessels side-by-side with a 55′ clearance, this acquisition marks the third parcel recently added to Jarrett Bay’s coffers – for a total of eight buildings covering 36-acres and 125,000 sq. ft. of building space used to accommodate the ever-increasing demand for the full-service offerings by Jarrett Bay and fellow Park affiliates. Further adding to the scale of work that can be done by Jarrett Bay, a multi-directional overhead crane is mounted to the building’s support beams to assist in topside construction, eliminating the need for cumbersome scaffolding. Operated by remote control, the crane can easily and safely pick up & set large sections in place. Now able to work on several large jobs simultaneously, the overhead crane greatly reduces service time, while also increasing efficiency and safety. 112' West Port and 59' Ritchie Howell. Adding to efficiency are the convenience of three dedicated parts departments, prep and spray booths, Bausch American Towers, IMS American Electronics and Crystal Coast Interiors all located within the 30,000 sq. ft. building. Plans are also in the works to add a crew restroom and lounge with TV, internet, work spaces and a workout facility. Pacific Asian Enterprises, Inc. is pleased to announce the newest addition to its sales team, Devin Zwick, who will be based out of the Southwest Sales office in Dana Point, CA. A Southern California native who grew up puttering around in small boats, Zwick has spent the majority of the past 12 years working in the marine industry and brings a wealth of world experience and technical skills to his new position selling Nordhavns. As a teen, Zwick worked as a deckhand on various sportfishing boats prior to studying for his Associates Degree in Fire Science. He then hooked up with the owner of a 55-foot Viking as a mechanic, staying with the owner as he upgraded to a 70-foot Queenship and then a 145-foot Westship. The job took him to places all over the globe from the east and west coasts of the U.S., to the Bahamas, the Caribbean and Central America, and a season in the Mediterranean. Following up his job managing the Westport, Zwick founded Delta Yacht Management, where he oversaw the budget and crews of the boats he formerly worked on. At the same time, Zwick was introduced to Nordhavn as captain of an N55, which led to more jobs delivering different Nordhavns, including one trip from the Galapagos to Auckland. Other deliveries took him from Panama to Brazil with stops in the San Blas Islands, Trinidad & Tobago and Brazil as well as Uruguay. In his free time, Zwick enjoys fishing and freediving off his 15’ Boston Whaler, doing projects around the house, playing golf, riding motorcycles and exploring new places. PAE staffs seven sales offices around the world including California, Washington, Rhode Island, Florida, England, Australia and Turkey. With 60 years of experience in powerboating, Otam is proud to announce the appointment of Oceanstyle by Burgess as central agency for the brokerage and promotion of Otam 100 Millennium powerboat. The Otam 100 is the result of the teamwork of architects, designers and yard experts: Umberto Tagliavini for the naval architecture, Alberto Mancini for the exterior design, Achille Salvagni for the interiors. All of the design work has been in close cooperation with the technical and design department at Otam. Over 30 meters in length, Otam 100 represents the finest features of the Italian brand: clean lines, elegant trim and high performance - the perfect synthesis of sophistication and innovation. Manufacturing is carefully set up and despite the high speed and performance, there is a special focus on environmental aspects, particularly on noise. 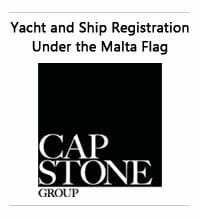 The unit can be classified according to RINA Classification as a Charter Class yacht. One of the innovations of this model is the forward lounge integrated into the superstructure. While maintaining the philosophy of the brand, this model shows a number of new features for the interior layout. For the first time in the brand’s history, Overmarine Group decided to present one of its new models outside the European market and it chose glamorous Miami to do it. The world première of the Mangusta 110, the latest addition to the Maxi Open fleet, was held during the recent Miami Boat Show and to mark the occasion, a party was thrown which offered outstanding unique experiences. The evening, a strictly “invitation only” event, was unforgettable and proved to be a magical experience for the guests: the music of the saxophonist Jon Saxx and the beat of a famous DJ, a mover and shaker on Miami nightlife scene, made the atmosphere special; two Spider models of the McLaren, one blue and one white, greeted guests at the entrance; Italian food and wine, a vodka cocktail created exclusively for the occasion, the “Mangusta Cooler”, and a corner where guests could try cigars, ensured everyone could kick back, relax and socialize; a photo shoot was set up so guests could have fun, too; nothing was left to chance, to ensure an unforgettable experience. The Mangusta 110, under spectacular tone-on-tone light effects, was the undisputed star of the show. And there were no official speeches because, as the CEO of Overmarine Group, Maurizio Balducci, explained “the yacht speaks for itself”. Luxury Living, exclusive retailer for Fendi Casa, which furnished the Mangusta lounge again this year with furniture and sofas from its latest collection and provided cushions and accessories in the onboard saloon; IWC Schaffhausen, renowned Swiss manufacturer of haute horlogerie since 1868, which brought three of its priceless pieces; Douglas Elliman, one of the most important real estate companies in US; The Collection, retailer of the most exclusive and luxurious brands in the car industry, which presented two McLaren 12C Spiders; Pratesi, producer of Italian home linens and luxury sheets for over one hundred years, which staged the guest areas of the yacht; Double Cross, producer of an award-winning vodka and creator of the cocktail served that evening; My Father Cigars, top cigar company which has received a host of international awards and Robb Report, the most authoritative luxury-lifestyle magazine. Each of these partners played an invaluable part in making the event a success. These outstanding partnerships were instrumental in guaranteeing the Mangusta guests emotions, glamour, high quality and a sophisticated welcome. The new offices of Ultramar, the Overmarine Group sales partner for Turkey, are located in one of the most strategic and exclusive areas of Istanbul, Suzer Plaza. The premises are just a short distance from the famous Suzer Hotel (Ritz Carlton), the most prestigious in the city, and are near the BMW and Rolls Royce showrooms. All this, plus an incredible view over the Bosphorus. 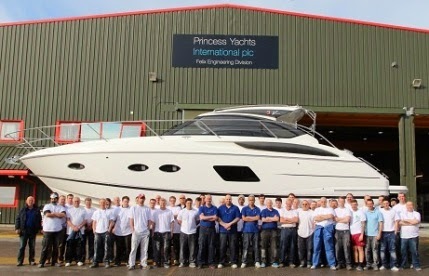 Princess Yachts International have celebrated another landmark achievement the handover of the 100th Princess V39. The Princess V39, the shipyard's entry-level model, made its debut in January 2012 and almost immediately picked up two major industry awards, in Europe and the US. Fitted with twin 330hp Volvo D6 diesels and duoprop sterndrives, the V39 offers 38-knot performance and a luxurious two cabin, four to six berth layout at an unbeatable price. The boat has proved particularly popular with buyers in the UK and Scandinavia, with significant numbers also exported to the US, Japan and Argentina. Earlier this year the team responsible for V Class delivered a landmark 100th Princess V52, another award-winning yacht which was unveiled during the autumn 2011 show season. Available with two or three cabins and a choice of Volvo Penta or Caterpillar diesels, the 36-knot V52's interior size and opulence belies her agile handling. Add to this mix an unbeatably versatile main-deck layout, with triple sliding glass doors opening up the saloon and cockpit, and a large sunroof in the hardtop, and it's easy to see why this is the best selling 50ft sport yacht in the world. An impressive parade of Riviera boats representing over three decades of Australian boat building, more than 73 individual models and the launching over 5000 luxury cruisers performed a special sail past at the Royal Motor Yacht Club of Broken Bay earlier this month for the inaugural R Marine Riley Pittwater Festival, which is held throughout the month of March by the Royal Motoryacht Club. Riviera 43 Open Flybridge owners Sue and David Rogers were a part of the Riviera Parade and said it was a fantastic experience. Mrs Rogers said boat education was extremely important. Riviera Pittwater dealer, R Marine Riley, is encouraging the whole Sydney northern beaches community to celebrate Pittwater and all that it offers during the month of March at the Pittwater Festival. Together, the Royal Motor Yacht Club of Newport and R Marine Riley will host this community focused event, which aims to bring people together to celebrate a shared passion for watersports and to showcase what Pittwater has to offer. The program of events began on March 1 with the Surf Club Shoot Out, followed by R Marine Riley’s 34 years of Riviera parade of boats on March 2. Since then other events have included the stand up paddle board races, the R Marine Riley Power Boat handling tuition for ladies, SIMRAD Game Fishing Tournament, R Marine Riley safety at sea demonstrations, Riv Kids Fishing Competition, and upcoming events include the Classic Yacht Regatta, Blue Water Navigation Trial, Pittwater Paper Chase and the R Marine Riley Docking competition. This spectacular parade showcased the evolution of Riviera’s design from the very first boat launched in 1980, a 38 Open Flybridge MK I, through to the latest in cutting edge design and technology. Each boat was draped in special Riviera bunting as their owners proudly showcased 34 years of Riviera to mark the opening of the inaugural Pittwater Festival. R Marine Riley CEO Mark Riley said there was no other boating event in Sydney quite like the Pittwater Festival. Royal Motor Yacht Club development manager and event organiser Rob Brown (OAM) said it was the first time they had combined such a cross section of events. This event has received a lot of community support from the Pittwater Council and Surf Life Saving Association – Sydney Northern Branch. The Chief Executive Officer’s from GCIT (Gold Coast Institute of TAFE)and Riviera Australia joined forces to launch the GCIT Marine Training Centre at the Riviera headquarters in Coomera. GCIT CEO, Aaron Devine and Riviera Australia CEO, Wes Moxey together hand-sawed a plywood banner to mark the official launch of the facility which is a training hub for more than 100 Apprentices studying Marine Mechanical technology and Marine Craft Construction as well as school-based students studying the Certificate I in Boating. Mr Devine said the Institute is incredibly pleased to have such anessential role in Australia’s marine industry. Mr Moxey said Riviera was extremely proud to be the home of the new GCIT Marine Training Centre. First year Riviera boat-building apprentice Nathaniel D’Ambrosia took part in the opening ceremony sharing his experiences as one of the first new apprentices in the program. Minister for Education, Training and Employment, John-Paul Langbroek said the collaboration with GCIT and Riviera would not only provide opportunities for budding apprentices but it would also benefit the wider marine community. Riviera has enjoyed a period of continued growth while training and developing staff to become Australia’s future boat builders in a vibrant and exciting industry. Riviera is now preparing for its biggest annual boating event as power boat owners and enthusiasts from around the world unite at the home of Australia’s favourite and most awarded luxury boat builder for the 3rd Riviera Festival of Boating held from May 22 to 25. The Riviera Festival of Boating provides an opportunity for owners and aspiring owners of luxury pleasure craft to come together at Riviera’s 14-hectare, state-of-the-art Coomera facility for four days of boating education and fun-filled social activities. Last year’s registrations were up by more than 50 per cent, which has prompted Riviera to expand the events program with a series of new seminars amongst more than 76 individual educational and social events held over the four days. Riviera’s chairman and owner Rodney Longhurst said the Riviera Festival of Boating was all about encouraging families to acquire the skills, practicalities and knowledge required to truly realise the full enjoyment of boating. Riviera owner William Clise travelled from Seattle in the United States of America to inspect the new 50 Enclosed Flybridge at the 2013 Festival of Boating. The 2014 program will include something for every boating enthusiast with skipper training for men, women and children. The expanded program will include interactive displays, the Technology Showcase on the waterfront and some of the most popular events such as, Riviera factory tours, offshore seamanship with Captain Bob Jones, maintenance tricks of the trade, fishing clinics, electronic navigation, sanitation system maintenance, and anchoring, line work and rafting, to name but a few. Riviera’s red carpet, under cover on-water display will showcase an impressive line-up of brand new models from Riviera and Belize with a retail value of AUD$22 million, including the new 515 SUV, which will make her world premiere at the Festival, and the flagship of the Riviera fleet, the 75 Enclosed Flybridge. Mr Longhurst said that the Festival was the ultimate boating event. The Riviera Festival of Boating offers free entry, free on-site parking and easy access with many owners able to arrive by their own boat at the Festival. A Riviera owners visitor arm will be available and owners can book a berth for a 24-hour period. People are encouraged to register early as places to all seminars and events are limited. Riviera owners will receive guaranteed registration at all events. Riviera owners will have access to the VIP waterfront lounge on the marina and will also offer VIP parking and transport to the Sanctuary Cove International Boat Show via ferry to all registered Festival guests. Following the recent successful introduction of a new premium yacht series the L-Class Sea Ray celebrated several infrastructure improvements at its Palm Coast yacht manufacturing facility during a waterfront ribbon-cutting ceremony on Friday, Feb. 28. The centerpiece of the celebration was a new extended water test ramp. Attending the event were several notable Florida state officials, including State Secretary of the Department of Environmental Protection Hershel Vinyard and District 6 Constituent Services Manager Sue Bower. Sea Ray President Tim Schiek spoke about the significance of the new ramp in relation to the company’s trajectory. The extended water test ramp has already proven a critical addition to the facility. All L650 Fly models must water-delivered, as they cannot be transported by land. The new ramp allows for the movement of up to 150,000 pounds, meaning technicians at the Palm Coast facility can now move boats 50 feet and larger directly from the production line to the water, where quality assurance testing and eventual water delivery take place. Every boat leaving the Palm Coast facility undergoes rigorous quality and specification testing. Sea Ray’s Palm Coast facility is the largest manufacturing employer in Flagler County. Several Florida state delegates recognized Sea Ray’s valuable role and commitment to positive partnership with the community. Among those in attendance were Greg Strong and Jim Maher of the Florida Department of Environmental Protection, and several members of the Flagler County Board of County Commissioners. In another indicator of the brand’s upward trajectory, Sea Ray recently moved its world headquarters to the landmark First Tennessee Building in downtown Knoxville, joining the Brunswick Boat Group under the same roof. The building is convenient to Sea Ray’s Tellico Lake sport boat manufacturing facility, which celebrated its 30th anniversary in October 2013 and has seen several recent expansions of its own. Last month was a truly intensive time full of exhibitions and promotional events all over the world for Sunreef. It started its international operations in the Gulf region where during the four exclusive events held in: Riyadh (KSA), Doha (Qatar), Abu Dhabi (UAE) and Dubai (UAE) presented was the futuristic Sunreef Yachts trimaran concept 210 Power Trimaran. Guests were impressed that this project had been prepared upon the request of a potential client who was looking for an extraordinary multihull and appreciates Sunreef’s strong position as a world leader in custom catamaran-yachts and superyachts design and construction. The Guest of Honour at all of these exclusive presentations was Mr. Lech Walesa the legendary leader of the Polish Solidarity movement, the first democratically elected President of Poland and the winner of the Nobel Peace Prize. His presence was particularly fitting as Sunreef Yachts is based in the shipyards of the Polish port city of Gdansk, where the Solidarity movement took form. The Guest of Honour at all of these exclusive presentations was Mr. Lech Walesa – the legendary leader of the Polish Solidarity movement, the first democratically elected President of Poland and the winner of the Nobel Peace Prize. His presence was particularly fitting as Sunreef Yachts is based in the shipyards of the Polish port city of Gdansk, where the Solidarity movement took form. Why is the company strongly exploring the Middle East market in the recent time? After launching offices in Fort Lauderdale, U.S. and Shanghai, China, Sunreef has opened a new sales office in Dubai in Autumn 2013. The 3-month presence of the 70 Sunreef Power DAMRAK II in the Middle East during summer and a high interest of the local buyers in this concept was certainly a trigger for the opening of the new local office. Tiara Yachts hosted more than 100 guests at its Bring in the Spring Open House on Sunday, March 16th in their state of the art manufacturing facility located in Holland, MI. This exclusive event welcomed current owners and brand enthusiasts to view Tiara Yachts’ exciting new 50’ Coupe. Tiara Yachts’ factory authorized dealers, SkipperBud’s and Walstrom Marine, were in attendance to lend a hand with plant tours and to provide expert advice on Tiara’s complete model lineup. Guests at the private invitation event enjoyed a personal viewing of the revolutionary new 50’ Coupe, opening remarks from Tom Slikkers, a guest appearance from Leon Slikkers, and the opportunity to meet with Tiara personnel who were on hand to facilitate the factory tours and answer questions. Tiara Yachts was excited to be able to open their doors to customers and fans in the area who have a vested interest in the company and the products they build. The entire plant was open to guests to see the Tiara Yachts manufacturing process and experience first-hand the practices and procedures that set Tiara Yachts apart from the competition. On March 5th Pat Healey was interviewed with Chris Ruisi, host of the radio show "Step Up and Play Big." This was a very special show with great learning opportunities to help one grows his business to new heights. 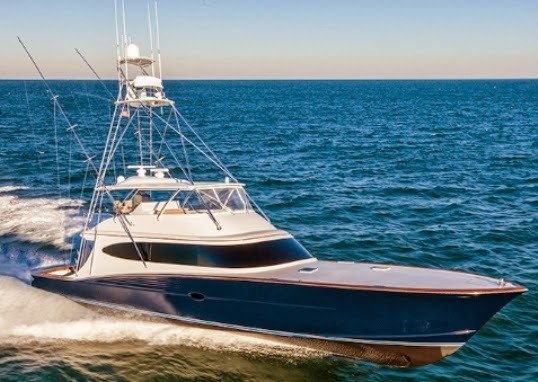 Join Chris and his guest, Patrick Healey, President and CEO of the New Gretna, NJ based Viking Yacht Company - the world's number one sport fishing yacht company. Listen in as Chris and Pat discuss what has made Viking Yachts a 50 year success story through the good times as well as the tough times. Learn the company's history and what has made Viking a great company. Chris and Pat discuss in detail who buys a Viking and why and how the company's laser-like focus on their customers has been the foundation of its success. Viking is a second approaching third generation company and they treat their customers like extended family. Perseverance proved to be the best bait for the Viking 50 Team Galati during the second leg of the 2014 Los Suenos Signature Triple Crown Tournament, as they took First Place with 45 sailfish releases over the three-day event topping the 39 boat fleet. During the last day the lead seesawed several times between four boats including the Third Place finisher, High Hook, a Viking 56. But Captain Tony Carrizosa aboard Team Galati led his team to victory with anglers Bob Hixson, Carmine Galati, Drew McDowell, Eric McDowell and Pat Healey. Captain Bob Watson at the helm of the High Hook collected 41 releases with anglers Larry Allison, Jr., Gerry Imperato and Frank Bongiorno in the cockpit. Designed by Luca Dini the Admiral 37 Impero RPH is a three and half deck super yacht featuring a semi displacement hull shape. For this model Luca Dini presented a profile which looks into early twentieth century lines, and a modern yet different style upper structure. The layout of the 37 Impero RPH features five double guest cabins, with an owners stateroom on the main deck. Three double crew cabins all with private shower heads, and a lobby located to fore. To stern will be a beach area which features an opening bathing platform, head, and a steam shower. Tender stowage is also located aft in a garage with a side starboard opening. Power will be from twin MAN 1200hp with top speeds of 17 knots. Since taking its new course under the Tecnomar management, Admiral is seeing success and the brand has actually already secured three Impero sales, which is one of the six lines currently present. March 17 will remain a special day in the history of Riva, a brand icon of Made in Italy excellence in the world, but also in the history of the Italian yachting industry as a whole, as it launched the new class of yacht, entirely conceived and built in the South European Peninsula with the heir of a centuries-old tradition. March 17 is above all, a first important achievement, after so many months of hard work, from the various teams involved in the development of this crowning jewel, the 122 marks a turning point in the history of the Riva brand and, at the same time, become a symbol of it with its fitting Mythos name. The Riva 122 Mythos, the new flagship of the Ferretti Group owned brand, was officially launched Saturday 15th in the morning at the CRN shipyard in Ancona, with the presence of the Group’s management and engineers, architects and designers that have worked on this project for over a year. The ceremony was also attended by the many workers of the Marche-based shipyard which specializes in the construction of fully customized super yachts in steel and aluminum ranging from 40 to 90 meters in length that over the last few months contributed to the creation of this jewel. The 122 Mythos really marks a turning point in Riva’s heralded history, a brand known over the world for its legendary wooden runabouts the symbols of the Dolce Vita and the icons of a truly unforgettable time. The new yacht is indeed the largest yacht built in the 172 year history of the Italian brand, and the first entirely built in aluminum, a debut that Riva is sharing with CRN, since this is the first time the Ancona-based shipyard is using light alloy only to build a yacht. The 122 Mythos is also the symbol of the renewed cooperation between these two historical and iconic brands of the Italian boating industry, both belonging to the Ferretti Group. A cooperation that started over forty years ago, in 1970, when Carlo Riva decided to establish a partnership with CRN. Between 1970 and 1978 the two brands jointly built as many as six 23.50 metre long motor yachts in the Marco Polo series and two Vespucci yachts, ninety and one hundred feet long, respectively. The new flagship is the outcome of the cooperation between Yacht Designer Mauro Micheli and Sergio Beretta, founders of Officina Italiana Design, the design firm that conceived the entire Riva range and Advanced Yacht Technology and Design, in close cooperation with CRN’s Technical and Interior Design Department for the development of the naval project and the interiors. The 122 Mythos is an evolution of the 86 Domino, from which it has inherited the main stylistic features. The owner of the first hull has requested the 3-cabin optional version, while the standard version proposed by the shipyard has four cabins. An additional optional layout with cabins cabins is also available. The aluminum planning hull can reach a maximum speed of 27 knots and a cruising speed of 25 thanks to two MTU 3510hp engines. Following the technical launch, few weeks will be devoted to the completion of on-board outfitting activities, particularly as regards décor solutions and interiors. Technical trials will then be performed. The yacht is expected to be officially delivered to the owner in early May. During the summer months the 122 Mythos is scheduled to cruise across the Mediterranean Sea and it will be officially presented to the public at the 2014 Cannes boat show. Nordhavn got a cult following serving a niche boating market of the adventurous explorer few since the first 46 arrived on the scene 25 years ago. 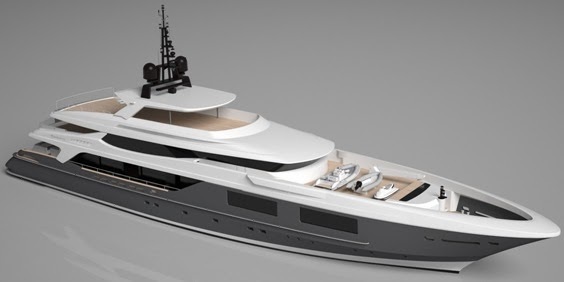 But Nordhavn’s manufacturer, Pacific Asian Enterprises thinks it’s come up with a new model that will lead the brand down a more mainstream path by introducing the 59 Coastal Pilot project. Continuously striving to offer revolutionary designs, PAE is excited about this newest yacht shaking up its product line. What makes the new 59 Coastal Pilot so revolutionary is that rather than targeting world explorers, it caters to the needs of many different segments. She is a continuation of Nordhavn’s Coastal Pilot series and may quite possibly be one of the most versatile cruising boats to arrive on the scene. Powered by twin Cummins 715hp and having a semi-displacement hull the 59 Coastal Pilot is designed for modest top speeds in the 20 knots range and offers an efficient and sea kindly ride at lower cruising speeds. PAE’s vice president Jim Leishman calls the 59 Coastal Pilot the “transitional” and feels it could be hugely popular with current Nordhavn owners who are winding down their world cruising and considering a new boat with lesser time and effort restraints. At the same time, the Nordhavn 59 Coastal Pilot could prove to be the ultimate jump off boat for anyone looking to get into the long range cruising game. The 59’s design features a CE Category A unlimited offshore rating, insuring the sea-keeping and strength capabilities to take on the most serious of coastal cruises up to a thousand miles. Versatility and capability aside, the 59 Coastal Pilot living arrangements is really what’s going to give her mass appeal. This Explorer Yacht is available in a two or three cabins configuration, either of which is highlighted by a massive owner’s cabin. The raised deck of the 59 Coastal Pilot can also be left open or enclosed with Isinglass and can be equipped with air-conditioning or heat systems, depending on owners needs. As with all Nordhavns, the best hardwoods, stone, and top of the line appliances will be incorporated into the build. Hunt has just recently launched its current largest build the 68 Express Motoryacht Sedan. The Hunt 68 is a design from deep Vee hull pioneer firm C.Raymond Hunt, who presented as the smaller models a down East lobster boat inspired yacht with incredible sea-keeping, and luxurious accommodation. The 68 Express will feature a standard three double cabins layout with full beam owners cabin, an office space, and a crew cabin quarters aft. The living of the 68 Express is all to be located on the main deck featuring an open plan galley with adjacent bar, L-shaped salon which can convert to a galley, and a sofa. Tender stowage will be located on the bathing platform to aft. Standard power is twin Cats 1150hp with line shaft propulsion, these giving top speeds of 28 knots. But other engine options also include smaller Cat 1036hp only available with ZF pod drives, and larger 1600 and 1900hp engines. Apart shats, and ZF pod drives, the 68 is also available with Jet drives. Alen Yacht has joined forces with renowned international architects Foster and Partners to create the project for a new 68 flagship. Merging innovative technology from land construction with boat building expertise has created a fast, agile craft combining the elegant social spaces of a cruising sport yacht with the fun of a day boat. The Alen 68 has twenty per cent more volume than most comparable sport yachts, creating more walk-around deck space and a scope for fresh design thinking. In a break with tradition, the flowing contours of the hull are not hidden by furniture but exposed to reveal the smooth lines of the yacht. This creates space for a flexible interior with a layout of three cabins, or a loft style interior with one owners stateroom to midships. Alen is offering two different design choices for both main and lower deck layouts. Finishing choices are a refined palette of materials including bleached oak, white leather and white onyx. Power comes from twin MAN 1550hp engines with estimated top speeds of 45 knots. Launched during the 2013 Cannes boat show, the V48 Open is a more Summer sunny days version of the fully enclosed hard top version, with a main deck dedicated to outside entertainment and sun worshipers. But Princess thought to do other important differences in this new model apart removing the patio door, adding a sun-pad to aft, and changing the main deck layout. That on itself is already a lot of stuff! On the outside and visible is a lighter looking hard top and that bit longer bathing platform which adds a couple of extra inches to the overall length. But the 48 Open also features a tad different layout below with the most notable being the C-shaped settee instead of the L-shape, and the central entrance to the full beam owners stateroom. Less noticeable is also a longer worktop to the galley, this also gaining some extra floor space because of the change to the midships cabin. As the fully enclosed hard version the V48 Open is powered by twin Volvo 435hp with IPS pod drives, with speeds estimates being a 34 knots max. Otam has recently presented the project for a new flagship the 100 Millennium. At 100 feet in length the new big Otam captures the aggressiveness of its smaller sisters, but presents in its some first solutions for the Otam brand; as a full walk around bulwark protected side decks, sport fly-bridge, and a fore-deck dinette. As in all Otam's even the small 45, customization is key and so is it on the 100 Millennium. The fore deck for example is offered with another different layout featuring three L-shaped dinettes, and two sun-pads. The lower deck standard plan features four double cabins with the usual layout of full beam amidships owners stateroom, forward VIP, and two twin berth guest cabins in between. But even here Otam offers a five double cabins more charter friendly plan, with two VIP suites amidships replacing the large owners stateroom on the standard layout. Crew accommodation features two cabins which share a shower head. To starboard side of the crew cabins at midships is also an L-shaped galley and dinette. Power is standard twin 2600hp MTU or optional triple units of the same engines. Sportfish are the last type of yachts to be set into the size bug. At 84 feet hull number B16, latest to come from North Carolina builder Bayliss, extends this builder size by extra four feet from its previous larger built. 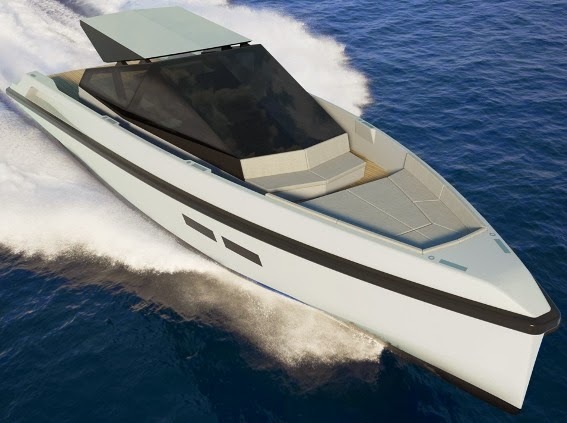 But do not worry this want be the largest Bayliss for long as the company is currently building a larger super sportfish yacht with the in production B19 measuring ninety feet. Based on the hull of the previous Bayliss flagship eighty feet B15 but extended, the completely custom build 84 feet B16 features a five double cabins lower deck, with a day head on the main deck, center console style helm on the fly-bridge, and a mezzanine cockpit. Bayliss B16 also features a novelty for the Bayliss family, and that is for having view windows in the full beam amidships owners stateroom. 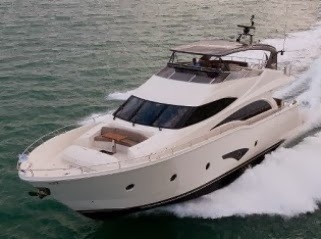 Power for B16 is from twin 2600hp MTU engines delivering top speed of forty knots. Grand Banks Yachts announced at its 2014 Worldwide Dealer Meeting a new addition to the Aleutian series of raised-pilothouse explorer yachts, with the introduction of the 55 RP. The 55 Aleutian RP will build off the success of the Grand Banks 53 which made her debut in 2010. The two extra feet are readily apparent, from more space in the cockpit and flybridge, added length in the acclaimed utility room, and an all-new dedicated transom locker that will accommodate up to four large fenders. 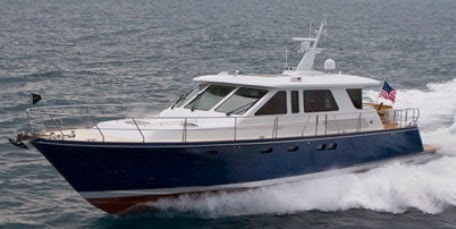 Other features on board the 55RP will include a second transom door for cockpit access, integrated wing engine control stations, comfortable aft staircase to the flybridge, a large swim platform that can be equipped with a Sealift tender lift system, and expanded provisions for galley storage and seating. 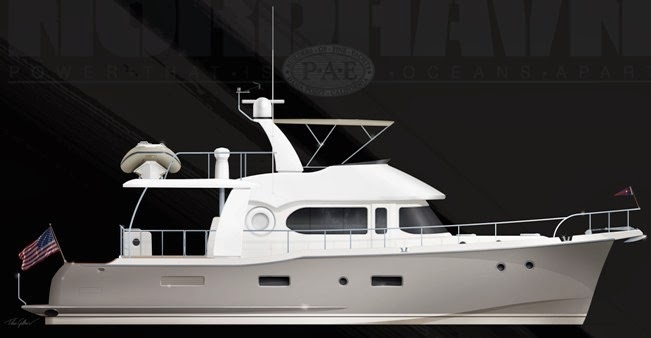 The 55 Aleutian RP will also boast a progressive, new interior created by Ardeo Design, Inc, that incorporates more materials and textures to create a lighter and warmer interior ambiance. The standard power offering aboard the 55 Aleutian RP will be twin Cummins 715hp engines, with a projected cruise speed of 20 knots and a max of 24. Optional engine offerings will include both Volvo and MAN diesels with horsepower up to 800. The first hull of the 55 Aleutian RP is slated for completion at the end of June and will ship to Australia, while the second hull will be heading to its home in Florida at the end of July and will be making its international debut at the 2014 Fort Lauderdale International Boat Show. Launched in 2013 the Galeon 445 HTS is one of the latest models to be presented in what the Strazyn builder likes to refer its third generation series of models. Now Galeon as it does in all its models shows variety in the finishing, and recently launched a 445 HTS completed in a dark walnut wood interior, complimented with Alcantara walling and leather upholstery. This latest wood interior is an addition to the first hull which was finished in oak. As is standard from Galeon these choices are made by the owners during the order of there boats, and many times the Polish builder shows us its custom finish skills. During Dusseldorf boat show 2014, Timeless Group a German company associated with the construction and selling of luxury property presented the concept of the 18m Ocean Club. Designed by the renowned Slovenian Jacopin brothers company Seaway Group, the 18m Ocean Club presents itself as a luxury explorer yacht fully dedicated to entertainment. In fact the Ocean Club surprises for its dinettes two on the main deck interior saloon, two on the flybridge, and one in the aft deck. Accommodation will be for four double cabins. The eighteen meters explorer yacht will also offer other unusual options as a DJ booth on the main deck. Another characteristic which seems to be hard to find in recent new models but found in the 18m Ocean Club will be an internal stair case which leads from the main deck to the fly-bridge. Power will be twin 600hp engines. Cutwater 30 Sport Top is a fresh take on the previously released models from this fairly young brand part of the Fluid Systems Group. The Sport Top evolves the 30 model with an open aft deck and a three sided hard top which is not fully enclosed, meaning that it features no patio door separation bulk head. This design decision for the 30 Sport Top increases the feeling of space on the main deck, with the cockpit being uninterrupted from the helm down to the stern. While the 30 Sport Top does not in real terms change much the layout, both the cabins with separate entrance but added with a privacy door are still there, as is the main deck with a dinette and the galley to port side. What this new design does for the 30 Sport Top is bring a functionality user type change, dedicated more for Summer days and full on entertainment. The 77S project is one of three new models Azimut will launch in 2014, all announced to dealers during the 2013 Genoa boat show. With this latest addition to the S range Azimut and designer Righini follow the steps of the 55S launched in 2012. Same style bow, similar side windows in both lower deck and coach-roof, and most important on the technical side the repeat use of triple Volvo IPS pod propulsion. In this case the 77S is to be powered by triple Volvo 900hp engines with the large IPS1200 pod drives. While the exterior profile will make people who like modern lines fall in love with the new 77S, this new Azimut has a lot going for it also in its clever layout plans as designed by architect Galeazzi, which thanks to the pods and further aft located engines, features impressive spaces. Apart four spacious double guest cabins all with en-suite heads the 77S also surprise in the layout of its main deck; this having a large saloon, and dining table for eight. A separate C-shaped galley is located below in between the cabins. To amidships in behind the owners stateroom, and to fore of the engine room is two crew cabins sleeping four persons and sharing a shower head. 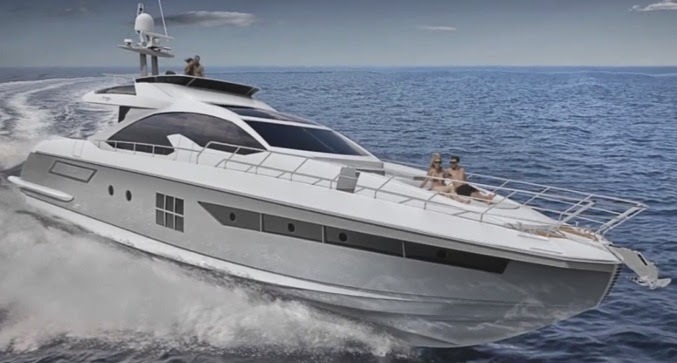 As is standard in recent Sport Yachts of this size and similar to the smaller Azimut 72S, the 77S will also feature a sport fly-bridge this having a central helm, passenger companion seat to starboard, and a sun-pad looking aft aft. 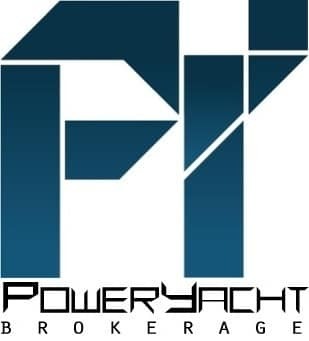 Taiwan yacht builder Dyna presents its new World wide web showroom. Located in Tainan City, Dyna was founded in 1986 by a group of experience marine professionals. Currently Dyna builds eleven models all inspired to a European design, which start from the 51 and go up to a recently launched 105 model flagship. Dyna new web-site takes you around with the following buttons; About Dyna, Model Range, Dealer Info, News, and Contact Us. Dyna is also present in the social media with a Facebook page, and a link at the bottom right of the webpage. H1 is the first vessel of the new SL118 model recently launched at the Sanlorenzo shipyard, a special event celebrated by the workforce, the management of the company, and her German owner’s family and friends. The Sanlorenzo SL118 becomes the new flagship of the historic planing hull range of yachts named SL. This new crown jewel replaces the successful SL108 model as the largest in the planing hull range. In today’s nautical market, which is larger size-oriented than ever before. Sanlorenzo decided to produce a new flagship that encloses innovative solutions and large spaces, without altering the traditional family feeling that has been characterizing Sanlorenzo models forever, thanks to its design continuity. As other recent Sanlorenzo the SL118 is designed by Francesco Paszkowski and features a two and a half raised pilot house layout. The standard interior layout features five double cabins with an owners stateroom on the main deck. Crew accommodation is for five. Power is from twin MTU 2637hp engines which give a max speed of 28 knots. During the 2014 Miami boat show held in February, Riva unveiled a concept for the 86 Miami. Apparently the inspiration for this new 86 Miami concept came from the man creator of the status symbol brand, Carlo Riva himself. This project should be based on the hull of the 86 Domino but with its deck being a fully Open affair. Still the 86 Miami will feature a hard-top with an innovative automated hydraulic system which makes it hide in the fore deck when not in use. Launch is scheduled for early 2015. Designed by Nuvolari Lenard the Marquis 720 Fly-Bridge has been a success in the 22 meter flybridge motor yacht segment for the American boat builder. 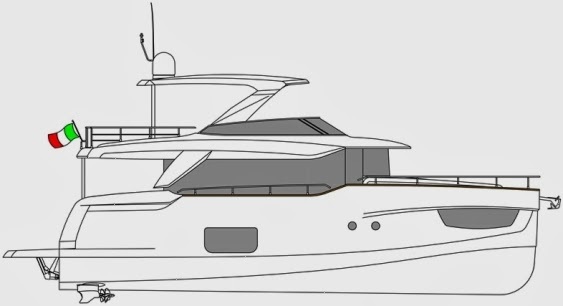 The three or four cabins layout choice below, the open plan of the main deck, and high standard of finishing have made the 720 Fly compete with the renowned World famous European builders. Now for 2014 during the Miami boat show Marquis showed the 720 Fly-Bridge with an important fore deck update what the US builder is calling the Portofino Edition. This new version features a forward seating dining area, what has become in recent years a popular arrangement in European style motor yachts, thanks to the privacy this gives especially when marina moored in the stern position. The fore settee also allows views to the guests when dining or chilling. Wally present the concept for a new medium tier sized 50 Power model. 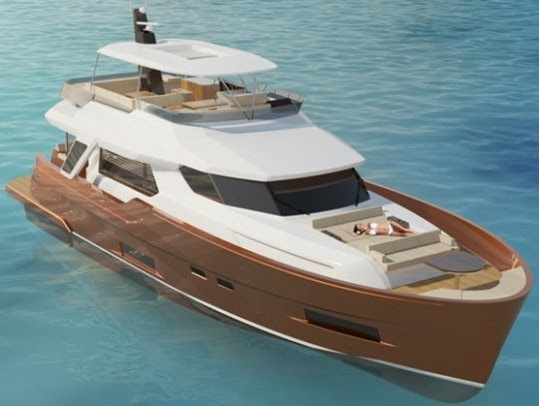 This new project for the Power range will be a day-cruiser: with a safe walk around stlye single-level non-slip teak main deck and deep secure bulwarks. The 50 Power provides great comfort both on deck and below. The deck is characterized by two social areas, one forward with an expanse of sunbed cushions that convert into dining, and one amidships enclosed in the wind shield with carbon hard top, that incorporates the helm console, the galley, the lounge that doubles as dining, and the bench-style seating. Inside, the vast forward cabin with en-suite is separated from the crew cabin with head. The stern features the wide hydraulic retractable aft passerelle, that doubles as swimming ladder. Two engine options will be available on the 50 Power. twin Volvo 435hp with IPS pod drives for a top speed of 38 knots, or two Yanmar 530hp driving KaMeWa jets for 42 knots wide open throttle maximum. Zeelander welcomes the new Z68 into its exclusive fleet. Designed by Cor D.Rover the Z68 embodies Zeelander in terms of innovative design, cutting-edge technology, high quality, and exquisite finishing. Styled with a perfectly curved transom, while retaining classic lines the exterior showcases to perfection the gleaming high gloss metallic hull and superstructure. The wheelhouse and saloon offer panoramic views perfect for entertaining up to ten people in complete comfort and style. The saloon leads to the outside entertainment area which includes a sundeck with lounge cushions, a covered seating area on the aft deck and a wet bar. Continuing with the use of first class materials throughout the vessel, the decks, steps, bathing platform and cockpit are covered in long lasting and minimal maintenance composite teak decking, with the exquisite look of the exterior accentuated by the striking oval railing. Down below the Zeelander Z68 sleeps eight in four double cabins. Power is a choice of Volvo 900hp with IPS pods, or line shafts and twin MTU 1200hp engines. 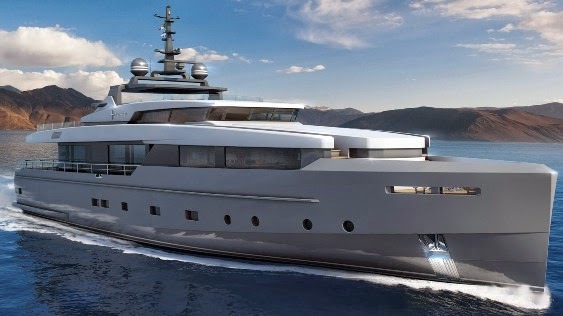 In a private ceremony, in Ancona, CRN Spa, part of the Ferretti Group specializing in the construction of fully-customized super yachts, made of steel and aluminium, ranging from 40 to 90 meters, launched it's hull number 133, a 61 meter designed by the architect Francesco Paszkowski. The yacht is the result of the work carried out by the entire shipyard and a combination of skills and expertise: the external profile and the internal layout have been designed by the architect Francesco Paszkowski in close collaboration with the CRN Technical Department, which took care of the naval project, with the yard's Design team. Extreme dynamism, movement of structures and clean and sleek lines are the features that characterize the personality of this vessel and make it recognizable and appreciated. For the first time on-board a CRN super yacht of this segment, there is a deck for the sole use of the Owner, which makes it possible to live the sailing experience in the best way possible in utmost privacy, in maximum comfort. After the launch, the yacht will remain in the Shipyard until the end of April: in the coming months, technical tests will be carried out and the final details of the interior fittings will be put in place, before it is finally delivered to the Owner. 2014 is going to be a very special year for Baglietto, the historical shipyard based in La Spezia, which was founded in 1854 and is therefore celebrating its 160 years. The new year has indeed started with an important success, with the signature of a new order for a 54m steel and aluminium displacement yacht, designed by Francesco Paszkowski Design. which is expected to be delivered to her European Owner in summer 2015. The new 54m yacht draws inspiration from Baglietto’s well-established product line of 53m crafts, like the Blue Scorpion, the Gitana and the Baraka, but features renovated volumes and restyled lines which follow the style of the new production signed by Francesco Paszkowski Design: a combination of geometric shapes and very sleek, sinuous exterior lines, while the very streamlined bow reminds of Nordic boats. Two Caterpillar engines allow this yacht to reach a maximum speed of approximately 17 knots and a cruising speed of 13. Earlier this month the Princess 82 Motor Yacht made her appearance at the London Boat Show, debuting a stunning new interior styling. New features on the 82 Motor Yacht include an engraved leather tile artwork by Genevieve Bennett to the dining bulkhead and hand stitched and embossed leather panelled door fronts to the saloon sideboard. These features are complemented by modern leather dining chairs from Frag around an exquisite in-house designed Cabalho wood dining table. 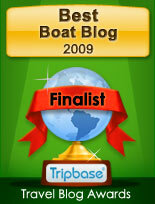 The London boat also featured a Paul Smith design rug from the Rug Company. The 82 Motor Yacht also showcased the new interior wood finish now optionally available across the range, Rovere Oak, a contemporary and modern new timber which has been introduced to extend the range of finishes offered by Princess. 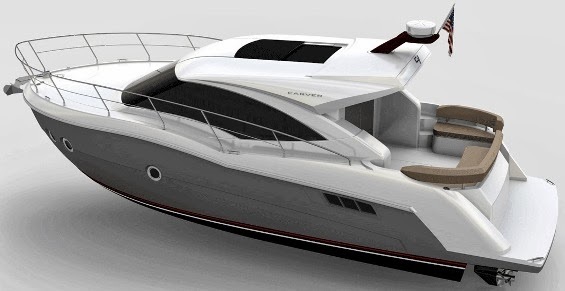 Carver present the C37 Coupe project, what is a new model based on the well received C34 but features an exterior with younger sportier looks of a hard top sport cruiser. The C37 just as its smaller sister and which it shares hull and most design features offers a very wide four centimeters short to four meters beam. This presents an interesting accommodation with two separate cabins plus a shower head below; of which to fore is the owners room. The main deck is fully dedicated to the living, this offering C-shaped dinette to port side with galley opposite. A helm station with two chairs is located to starboard. One of the like features is the single level main deck from aft cockpit to the inside of the saloon. Other nice conveniences in this model are the integrated tender hauling capable bathing platform, and safe side deck passage thanks to full protective railing all around. The Steeler 47 Explorer presents itself as a robust, safe looking working vessel with a classic line that can take the test of time in the looks department. Steeler says the 47 Explorer is comfortable in all environments from the canals thanks to its low air draft, to the seas. The accommodation plan features two cabins with an owners room to fore, a twin guest cabin, galley and dinette below, and a saloon with entertainment area opposite on the main deck. Power is a single or optional twin Deutz 210hp. Just launching its new 155 Yacht flagship Sunseeker seems to make the 2014 year one to remember for its fans, by presenting important models in various sizes. The 57 Predator is a project which should launch at the fall of this year, and evolves the brands semi custom concept in its smaller models. So choice is the word in the new Sunseeker especially to what regard the main deck. The 57 Predator will in-fact have an option to have this with an open hard top layout, or with a patio door which splits the area. In both choices the lower deck remains unchanged with two large cabins; owners stateroom amidships, VIP to fore, small bunk two berths third cabin, L-shaped galley, and a medium sized L-shaped dinette. A single berth crew cabin will be available to aft. Power for the 57 Predator will be from twin Cats 715hp, and go up the options list to MAN 800hp, and Volvo 900hp. All these engines are to be available with line shafts or optional Arneson surface drives, with a pod choice possible with twin Volvo IPS couple to twin 725hp engines. The second model of Gulf Craft's Exp line the 75 touches the water. Exp line from the always expanding Gulf Craft which also includes the prized Majesty Yachts in its brand portfolio is a range of semi planning models with rugged explorer looks. The 75 Exp has some interesting features as the solid look of its hard top, and the unusual starboard side and exterior located staircase to the flybridge. This last detail leaves its aft deck free adding to the space in this area. The interior for a motor yacht this size also offers some interesting elements as the galley located to aft by the crew cabin instead to the usual main deck. This frees up a lot of space on the main deck, which apart the welcoming saloon features a dinning table, a dinette to port side of the helm, and a day head. 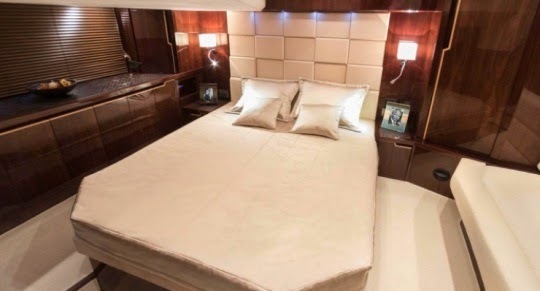 The standard accommodation layout of the 75 Exp offers eight guest berths in four cabins, although the plan on the downloadable brochure features a three double cabins plan with a spacious VIP to fore which also has a nice L-shaped settee, and three large en-suite bathrooms. Standard power is twin 715hp engines with an optional of 1200hp being available. Starting up with a 42 model, a few years back Tilli Antonelli Wider makes strides forward in it's Superyacht range by presenting its second project the 122. This new project was presented following the sale of the 150. The 122 is a design of Fulvio de Simoni and is a three deck super yacht with a distinctive modern profile. The third high deck of the 122 is very integrated in the profile of the overall design thanks to the fore part of main deck being a full body. The Wider 122 will offer two tender stowage areas, one to fore, and another to aft. The tender to aft will have a side access, leaving the stern bathing platform fully dedicated for a beach transformation when the yacht is at rest on anchor. The Wider 122 will offer four guest cabins plus an owners stateroom on the main deck. Crew area will be located to fore and will feature four cabins, plus a lobby with an L-shaped settee. The galley is to be located on the main deck. Two dining areas are featured in the 122, one on the main deck and another on top. Wider 122 will be build of aluminium and will feature electric diesel propulsion reaching top speeds up to 14 knots.